Karin Wandner received her Pilates certification in 1997 from the Pilates Center in Boulder. She also holds a massage practitioner license from the Cypress Health Institute in Santa Cruz, California. Whether she is training professional performers and athletes to hone their physical abilities or assisting in the healing and prevention of common problems such as knee and back injuries, wellness and integration of body and mind are the focus of Karin’s practice. Karin brings this emphasis to her work with post-partum women needing to recover their abdominal strength or heal diastasis recti. She works to cultivate body awareness and an understanding of body mechanics that her clients can use outside the studio — at their jobs and in everyday movement. 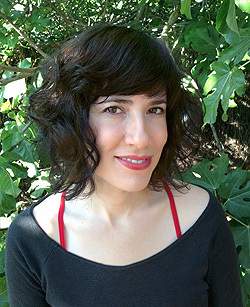 Karin has a BA from UC Santa Cruz in American Studies with an emphasis in Modern Dance. Most recently, she completed Cara Reeser’s postgraduate Kathy Grant Heritage Training in Denver, Colorado, in July 2014. Karin currently lives and works in Los Angeles. Pilates is a form of total conditioning that creates balance in the mind and body. Joseph Pilates named his system of exercise Contrology because of it’s emphasis on controlled movement performed with engagement of “core” abdominal strength, energized by deliberate and focused breath. This form of total conditioning creates balance in the mind and body. It does this not only by strengthening “core” muscles, the abdominal, pelvic and lower back muscles, but also by creating integrated strength, coordination and flexibility throughout the body. Pilates is often used to compliment the rehabilitation of injuries and is easily tailored for almost any body type or fitness level. When practiced regularly, Pilates heightens body awareness, improves posture and creates a body that is less prone to pain and injury. © 2013 Karin Wandner Pilates. All rights reserved.